As a board member for your Association, you may have questions about best practices regarding your HOA and filing a claim for storm damage. Common questions we hear include; when should I file a claim? What should we do if our claim is denied? We hope this article helps in guiding you. What Should Our HOA Do Before We Even Have Storm Damage? Sign up for our no cost, no contract storm monitoring service. Allow us to conduct a no cost inspection specifically looking for storm damage. If no damage exists, Association Reconstruction will continue to monitor your property in the event a severe storm should move through your area. If storm damage is found, you would file a claim and we would work with your insurance company during the inspection process. If the claim is denied, Association Reconstruction will review your claim with industry experts and may suggest you invoke the appraisal clause in your policy. We work with several industry experts who would be interested to meet with you if your claim is worth pursuing. What If Your Insurance Claim Gets Denied? The most common step if your loss coverage amount is not sufficient to cover the loss of your claim, if denied, is to go to Appraisal. The Appraisal clause is an insurance policy provision found in the Loss Settlement section of your policy. It takes the place of a lawsuit (which can be an option but is costly and time consuming), and is invoked when there are disagreements between the policy carrier and the policy holder regarding the amount of loss. The insurance industry generally uses a software called Xactimate to value all claims. Approximately 90% of property claims are written using Xactimate because the majority of contractors and insurance companies agree that Xactimate is fair. With Xactimate you will not need to get bids for your insurance claim because Xactimate is designed to provide a reasonable and fair estimate for the damage sustained to your property. This is advantageous for your townhome or condominium homeowners association as you are allowed to choose whichever contractor you want. Can My HOA Profit From an Insurance Claim? Most policies require the insurance company to return your property to its pre-event condition. The insurance company is not required to return your property to its pre-event condition and give you a financial windfall. There are specific exceptions to these situations. However, they have to be handled very carefully to ensure the insured does not commit insurance fraud. Our advice is to seek a legal opinion from a competent insurance lawyer before trying to achieve a financial gain as a result of an insurance claim. Furthermore, in the case of a large loss claim, over $100,000, the insurance company is going to require the insured to provide proof that the work was completed prior to releasing the final funds. Proof of work generally consists of the following; the signed contract with the general contractor, copies of check stubs paid to the contractor to date and photos of the completed repairs. This is standard practice on large loss claims. 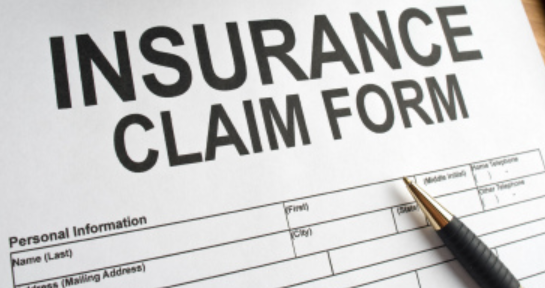 Insurance companies require this information to ensure insurance fraud is not occurring.